If you’re looking for ways to earn extra money for the upcoming christmas period, you will probably come across a thousand strategies to make money – both real and fake. Once you have eliminated the fake strategies from the real ones, you will now need to select a legitimate one which fits into your skills and the resources that are available to you. No matter where you’re from, or your employment status, as long as you have access to the internet, there are so many money-making opportunities available today, which did not exist 10 years ago. For some of them, you can earn a decent living in Naira, and for some you can earn in US Dollars or GB Pounds, and convert your funds to Naira at your convenience. 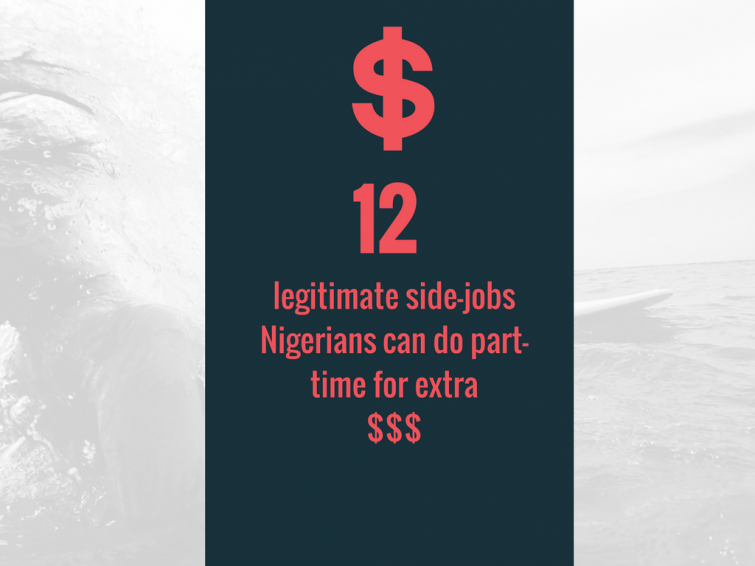 Illegitimate 419 scams are getting harder and harder to perpetrate, and legitimate jobs are getting easier to access. Tutoring basically involves coaching young students in certain subject areas, and helping them achieve better grades at school. Students of all ages need tutors for maths, science, foreign languages, etc, so if you did well at a particular subject at school – or if you happen to speak a foreign language, this might be for you. 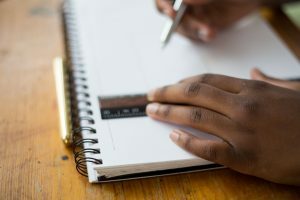 With most tutors earning around an extra N30,000 monthly, tutoring is a great way to earn some extra money out-of-hours, and it is also a job that comes with a feel-good factor. If you’re skilled in a certain area, then why not help others succeed in school? You can print out leaflets with your phone number and distribute at schools, and you can also join local online tutoring websites such as Tuteria, Prepclass and Simptutors to get matched to parents of students who need your services. AirBnB is an app that allows you to rent out your extra room to local or international visitors. 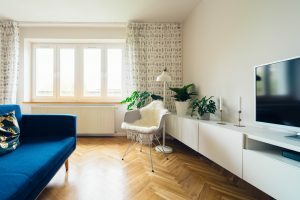 If you have an extra room in your house, you can earn money by renting it out to pre-screened local and international visitors using the website Airbnb.com. The site has a small community of consistent users, including hosts like Fola who rents out his spare bedroom in Somolu for £18 per night + £ per night service fee. This is a great way to make money while meeting interesting people from around the world. 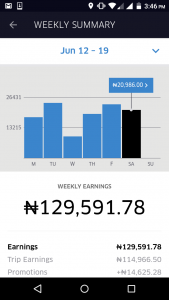 If you live in Lagos or Abuja and can drive (or have access to a car) then you can make some extra money by being an Uber partner. As an Uber partner, you gain access to the Uber driver’s app which matches you with people close to you who need a taxi. You pick up and drop off the passengers, and get paid automatically from the passengers’ bank account direct to your bank account, minus a 25% Uber fee. If you don’t want to drive the car yourself, you can offer it to a driver to make money on your behalf when you’re not using it, and pay the driver a salary or a percentage. The registration process is outlined in-depth over here and you can register as a partner using this link. Resources: Access to a Year 2001 vehicle or newer. If you’re good at fixing things you could start a phone and computer repair service. We now live in a world where everyone owns at least a phone or a computer (or both). This automatically means that these items are prone to damage, so there is always demand for the service. You could even offer a collection service to serve your customers a little better, and charge an extra N1,000 for the collection and return. If you get stuck with a certain problem, there are troubleshooting websites such as Youtube and iFixit.com. One weekend, my mum took time out of her busy schedule to drive 15 minutes to give ₦50,000 to a woman she hardly knew. She had met the lady at church a couple of weeks prior and told her about a flat she was trying to rent for ₦500,000. The lady had found a tenant for my mum, and automatically earned ₦50,000 for the referral! You can make 10% of the price of renting or buying a property, just by connecting property owners with buyers or tenants. I was speaking to a guy who had a property for sale from a “distressed owner”. Things had been very difficult for him until he got into the business a year ago. He goes to estate agents (especially those stuck in the past, and have no idea about advertising online) and gets a list of their properties for sale and for rent. He then puts them on Lamudi.com.ng as well as a private WhatsApp group. When a sale is made, he gets a 10% cut, whether it’s rent on a ₦500,000 property, or sale of a ₦5m property. The only capital required is your data subscription and a bit of legwork to begin with. If you’re a social person who enjoys attending weddings and speaking in public, you can consider a side hustle as a wedding MC. In fact, weddings are one event which most people don’t compromise on, and an MC is a vital part of each wedding. If you charge ₦35,000 for each wedding, and officiate a wedding each weekend, that’s an extra ₦140,000 in your pocket each month – some people’s monthly salary! MyWeddingNigeria explains what the duties of a good wedding MC are, so check out this guide from their website. A dropshipper owns an online store and processes sales, but never actually touches the products. He/She forwards all orders to the wholesaler who directly ships the product to the customer anywhere in the world, bagging the difference between the wholesale and retail prices. So many millionaires have been made through this strategy, as all you do is research new products, advertise in your store, and fulfill orders. One of the easiest ways to set up an online store without forking out hundreds of thousands upfront is to use store building services like Shopify. Dropshipping is such an attractive hands-free venture that I have started doing it part-time, and I am learning a lot in the process. 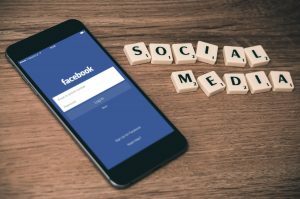 There are a lot of small businesses who need a social media manager, but are unable to hire someone full-time to post regularly on social media platforms like Facebook, Instagram, SnapChat or Twitter. You can take it upon yourself to contact local businesses and offer them your services for a contracted monthly fee. This is an easy way to make money no matter where you live. Skills/Resources required: Social media scheduling tool such as Buffer. If you’re artistic (or even know someone who is), you can sell T-shirts with your artwork printed on them, with little or no capital. All you need to do is sign up to print-on-demand websites, and they showcase your artwork to a global audience. In this guide, we explain how the whole process works, and also provide a list of international websites that offer this service. There is an online education platform called Udemy which basically enables anyone, anywhere to create an online course and sell it to anyone, anywhere in the world. For example, there is a Nigerian programmer who sells his courses for £15 on Udemy, and so far, he has sold 5,399 courses. That’s right – Five thousand, three hundred and ninety-nine courses. I’ll leave you to do the math. But the site doesn’t only allow programming courses – you can create your own course around any topic at all, and you can also set your own tuition rate. If you love writing, you can very easily offer a content writing side hustle. Most businesses online need copywriters, and there are ALWAYS jobs available if you know where to look. Join content writing groups on Facebook, and you will be kept very busy. 12. Sell services on Fiverr. Fiverr is a website where people can buy all sorts of services starting from $5, as the name implies. But don’t be fooled by the name – many sellers routinely offer services for over $5, as $5 is just the starting point. The site accepts people from Nigeria, and there are so many people making a thousands of dollars monthly on the website. You can sell services such as logo design, article writing, marketing, research etc, and charge in US $. Withdrawing your earnings won’t be a problem, as there are lots of exchangers (usually business people in need of US $ in electronic form) on Nairaland who would be happy to exchange your funds for the prevailing rate. Good list, most people should be able to find something they can do part-time from here. Could you give recommendations for where to get content writing jobs in Nigeria? I know a lot of people offering enhanced services on Fiverr.com. You can also get jobs on Peopleperhour.com, Upwork.com and Guru.com. Hope this helps, and I would like to hear how you get on. Let me know if you need any support. Absolutely! I agree with this, and there is now a company called Farmcrowdy (Farmcrowdy.com) which helps people do this. I might add this to the list. Thanks for the suggestion! The spells that we do involve healing, love, harmony, wealth, wisdom, prosperity, elevation in any positions and creativity. Instant Invocation Of Money. The potions that we stir might be a headache remedy, a cold tonic, money spell, friendship oil, love casts, or an herbal flea bath for our pets. We strive to gain knowledge and use the natural remedies to solve all earthly problems. I conjure, invoke, summon, predict, and heal whatever sickness without mistakes or repetitions. I also render divine advice in Business or any area that is of your interest that is confusing you. Don’t waste your time looking for solution from a far distance we are always close to you at the nearest bus stop of your destination, come with your needs and see it done for you. Here in this temple of riches we do all kinds of spiritual works, for example invocations ,protections, fruitfulness, jobs, connections, contract, wealth, curing of sicknesses and lot more, you don’t have to worry yourself about all your challenges, all you need is one step ahead to the temple of riches located to the nearest bus stop near you…. We are here for you and will always be there for you for as long as you call upon us for your help we shall surely help. For call, whatsapp and sms: +2349021434559. I am giving this testimony because I’m super excited and elated. My name is Eleanor from Canada. I never believed in love spells or magic until i met this spell caster whose encounter had a paradigm mind shift on my personality. connect you to your soul mate for a lasting blissful relationship that stands the test of times, recover lost and even stolen money, cast a spell for one’s dream job, cure seemingly incurable epidemic like HIV,AIDS,FIBROID,SKIN CANCER just to mention but a few. without explanation or even slightest provocation from me. My entire life was in shame and shamble because I wholeheartedly loved him from the depth of my soul with the very last breathe within me despite the odds of coping with his mum who was so harsh and unloving towards me, and his jobless status as at then. However, my whole Life took on a 360 degrees turn around when I met Dr. Yobotokul. At first I must confess, I was doubtful and skeptical about his magical prowess, but on a second thought, my innate emotions told me to give it a try, that the opportunity of a lifetime must be taken during the lifetime of the opportunity. Well, to cut my success story short, after six days of my arrival at UK, my boyfriend (now my husband) personally called me on my mobile device while crying sorrowfully over his misdemeanor, apologizing and stating vehemently that everything had been settled with his mom and family that he just got a wellpaid job whose salary was triple my income. Shock is an understatement to describe how I felt, because Dr. Yobotokul only requested my boyfriend’s name, few items and what I wanted him to do to ameliorate my sufferings, which I did. That’s all, like that’s all and now, we are happily married with a bouncing baby boy, which is now the first fruit of our union. I am interested in sponsoring local farmers but it seems difficult to identify one with sincerity. Aside the FarmCrowd.com, are there other practicing farmers one can partner with? I simply wanted to say thanks yet again. I’m not certain the things that I might have tried without those tactics discussed by you relating to my field. It was a very intimidating issue in my position, but seeing this skilled approach you dealt with it forced me to leap over fulfillment. I am just happier for this service and hope you are aware of a powerful job you happen to be undertaking instructing the others thru a blog. Most probably you’ve never met any of us. Needed to send you a very little note in order to thank you over again for these unique opinions you have discussed on this site. This has been seriously open-handed with people like you to deliver extensively all many people might have advertised as an ebook to end up making some bucks on their own, particularly considering the fact that you could possibly have done it in case you considered necessary. The techniques as well worked to become a fantastic way to understand that most people have the identical zeal just as my own to realize many more with regard to this matter. I am certain there are many more enjoyable sessions up front for those who read your blog.